Later this quarter the next big SAP BusinessObjects Design Studio update will be generally available: version 1.5. Let’s have a look at what we can expect in this edition. 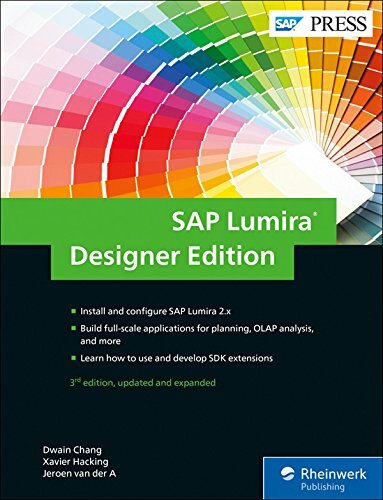 Despite the fact that Design Studio is developed in a much more future proof way than SAP BusinessObjects Dashboards (Xcelsius), it still appears to be pretty difficult to develop apps/dashboards that load quickly and respond rapidly to user inputs (setting a filter value for example). 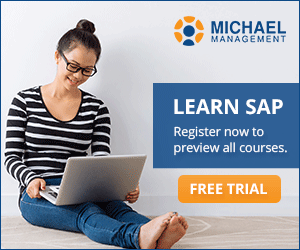 Particularly in the case of dashboards that use multiple data sources this is a problem. Until Design Studio version 1.4 these data sources were in fact executed sequentially. The effect of this was that 10 pretty fast queries, each of which only needed 1 second to execute, still would take about 10 seconds to finish. 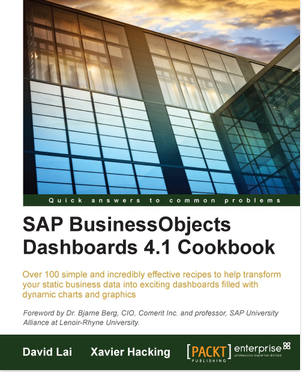 Version 1.5 finally offers a solution to this problem and lets data sources be run in parallel, just as we are used to from SAP BusinessObjects Dashboards. This will obviously lead to huge reductions in load times. On the other hand, this will probably lead to more peak loads of the source systems (e.g. SAP BW). The developer can manage this with so-called processing groups that indicate which data sources should or should not be executed in parallel. Also, in Design Studio 1.5 it is possible to isolate data sources with shared variables and use separate prompts per data source. In this way it is not necessarily to refresh all data sources each time such a shared variable changes. A pretty big surprise is the inclusion of Geo Maps component which already looks quite promising in its first release. This Geo Map component can be directly linked to Geo services as ESRI and OpenStreetMap. With these services highly detailed maps can be shown in Design Studio apps. Up to 10 layers are supported and linked data can be displayed as shape (flat on card), points on the map and bubble charts. Design Studio 1.5 includes an out-of-the-box PDF export feature. A new component can be added to the Design Studio application to apply this feature. Design Studio already contained a template for ad hoc analysis application that got really close to the classic BEx Web Analyzer functionality. In 1.5 the next major step is set to further close the gap. The template now has a menu bar which includes the option for the end user to select a different data source. 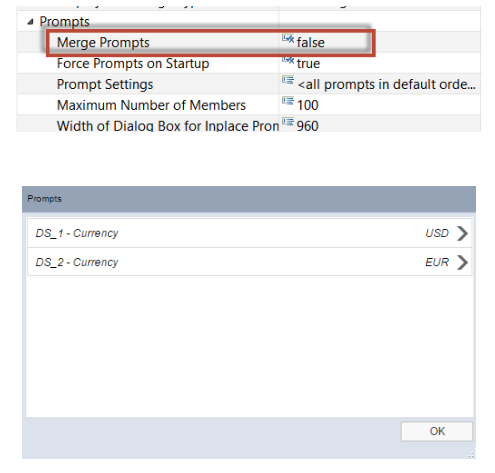 With this feature you could setup a generic analysis app based on this template which could be used throughout the user organization. There is a filter bar added that shows the characteristics that are filtered in blocks, including the selected filter values. It now is immediately clear which filters are active. The user can remove filters from here quickly and add new filters. The new Navigation Panel supports drag & drop within this panel, so users can easily change the formatting of the report.Unfortunately it is not yet possible to drag characteristics from this panel to the results table or a graph. The navigation panel includes a search bar to quickly find the correct object in a long list of dimensions, and it is possible to set refreshing to pause (like in SAP BusinessObjects Analysis / BEx Analyzer). Also in the charting area the template has improved. There now is a chart type picker component that allows users to select the chart type themselves. It is now possible to select multiple rows and columns in tables Crosstab. Additionally, we can now refine the scrolling settings in these tables (scroll per pixel vs. scrolling per cell). There is an option to export a click-through. This means that a user can record a click-through scenario and can replay it later offline. 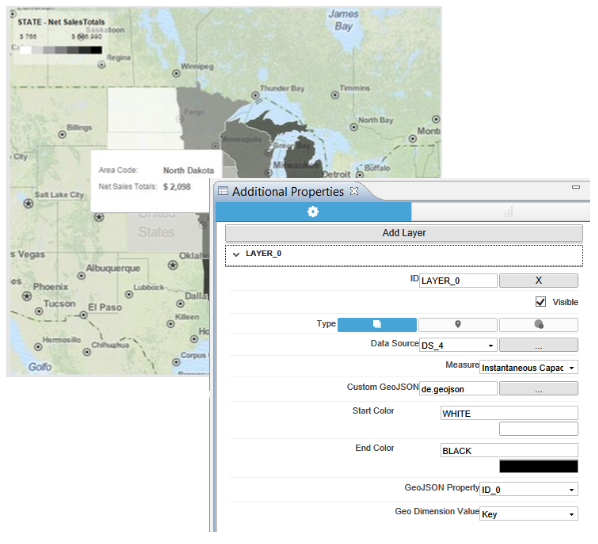 Crosstab tables can be exported to SAP Lumira. The context menu will include an Undo option. Furthermore, custom-entries by developers can be added to the context menu. There wil be a central administration tool for managing Bookmarks on the SAP BusinessObjects BI Platform. All types of bookmarks are supported and can be moved, deleted etc. individually or in bulk. The SAP BusinessObjects BI Platform will also support multilingualism in Design Studio apps. For this SAP BusinessObjects BI Platform version 4.1 SP6 is required. In combination with BW-IP it is possible to store user comments. 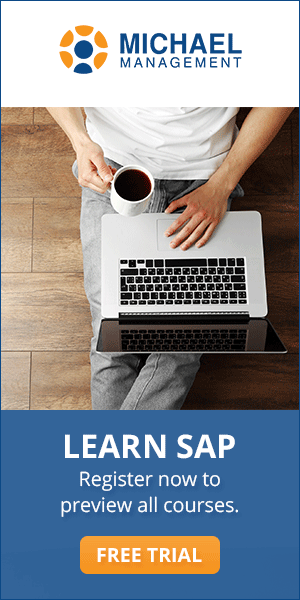 For this, SAP BW 7.4 SP8 is required. Finally, there are improvements to the Design Studio client tool, which include faster importing and exporting apps and other other objects (CSS stylesheets, images, links). Also, apps can now be saved as a template. With all the above improvements and new features Design Studio 1.5 is a very interesting and promising release. 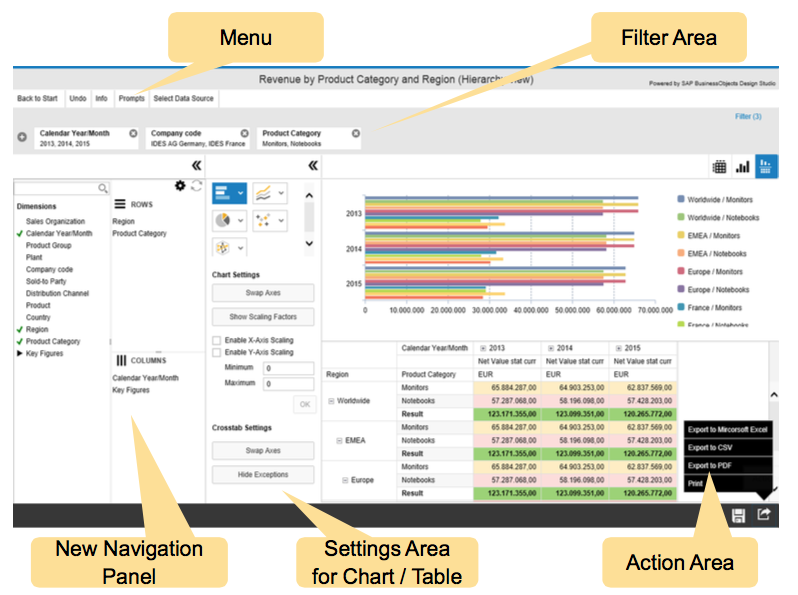 The highly anticipated performance improvements (query parallelization) combined with the greatly enhanced ad-hoc analysis template bring Design Studio finally up to par with SAP’s legacy dashboarding / web reporting tools. It is expected that SAP BusinessObjects Design Studio 1.5 will be available at the end of May 2015. Thanks for the analysis. I’d like to see your view on the para Performance, Performance, Performance. 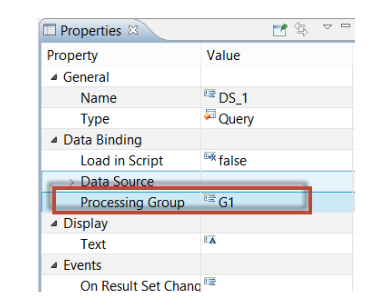 Is the DataSources grouping will be available only for BI Platform option or for the pure BW Netweaver as well? For the Design Studio 1.5 release it will be only available for the SAP BusinessObjects BI Platform scenario according to the roadmap. 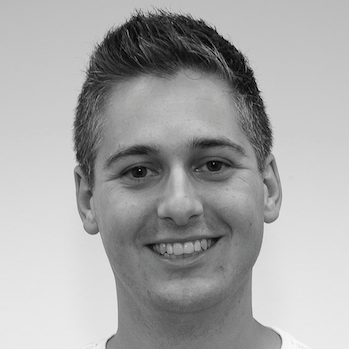 Other platforms might be included in future releases. 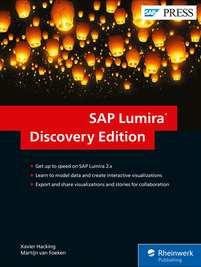 Currently I am using Sap Lumira Designer 2.0 SP1. In this I have an issue with crosstab where it doesn’t fit the whole area/panel. Is there any workaround for this in such a way that it should automatically adjust the font size, table columns (width) and row height according to the screen pixel. That would be a great help If I get this.